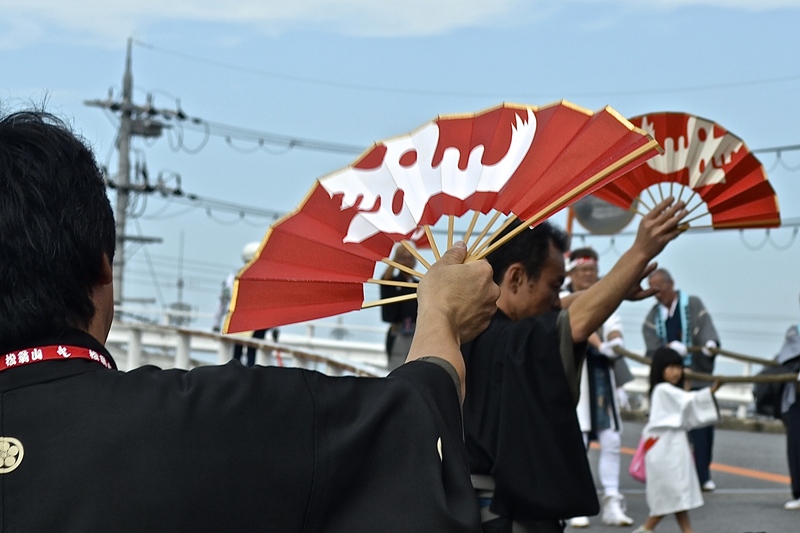 It just so happens that the Japan’s “Sports day” holiday falls on the same weekend as Thanksgiving (in Canada, that is). So, at the time when I would normally be eating my way into a food coma, I was headed to Maibara to spend the long weekend. The reason for my visit was Maibara’s annual Kabuki festival. I arrived and immediately headed over to see the stage being pulled across a bridge. 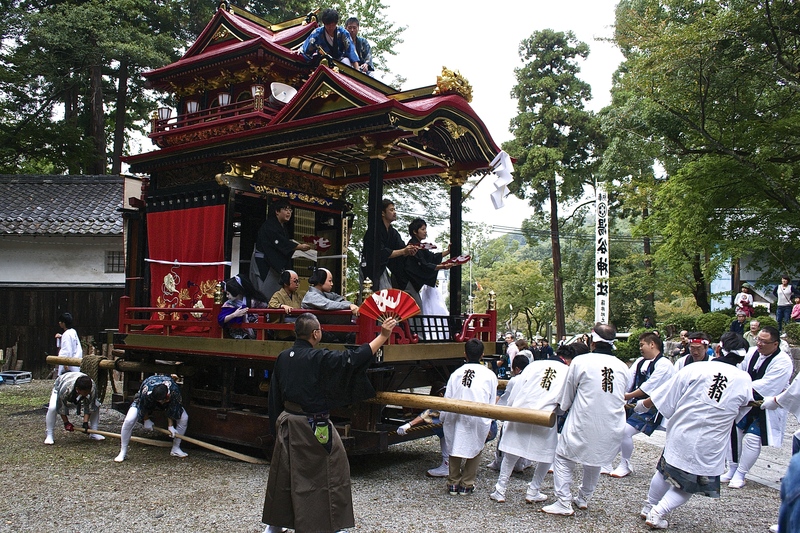 The float has people positioned at the front pulling by rope, and people pushing at at the back. And although there are wheels, they’re pretty old and made of wood, so some lucky guys were given the task of levering them into movement. They were pulled for over an hour over the bridge and through the streets to the performance location. It was pretty funny to see people driving by slowing down to stare and take pictures. After the first performance we followed the float to the next location. 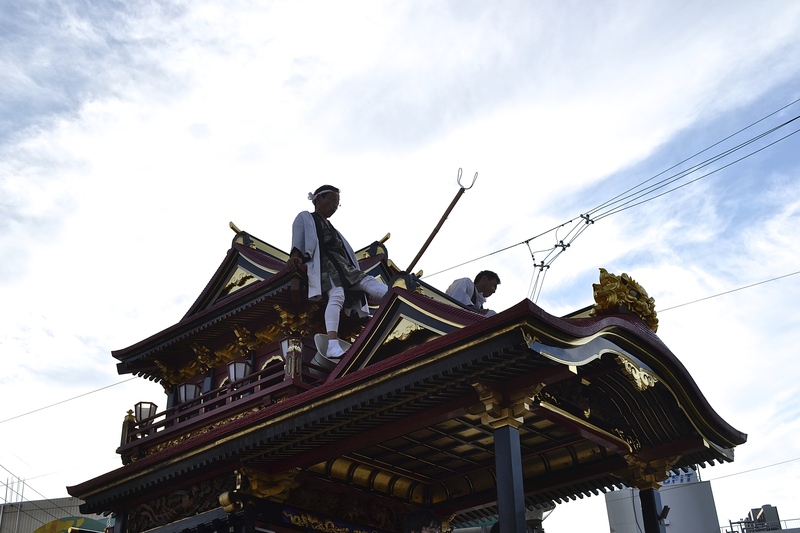 We were in more of the city streets, so we could see the men on the top pushing telephone lines out of the way of the float. By then, I was impressed that anyone could still stand, let alone pull the float again. 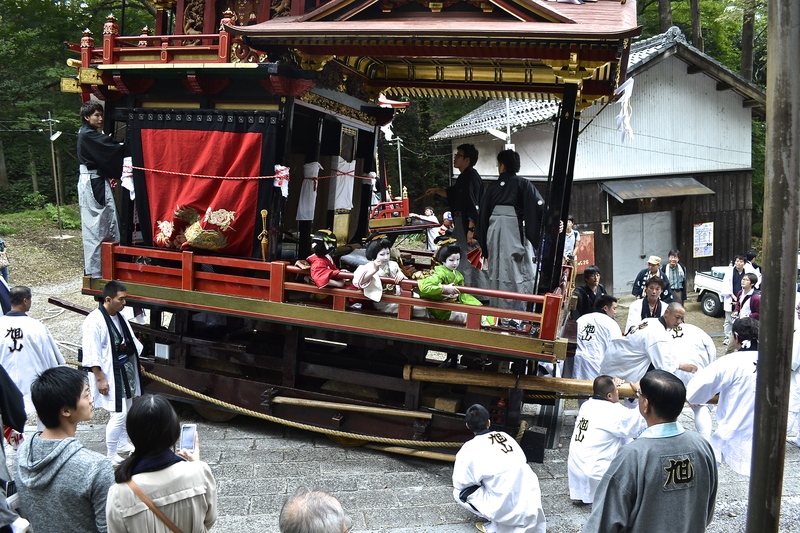 But after the last performance at around nine, the float was pulled all the way back to the Yutani Shrine, which is basically all uphill. This was the most fun, because everyone who was watching the performance along with the families of the performers helped pull. It was exhausting, but I couldn’t help but think (just like I did at Uozu’s Tatemon Festival), that we were only doing about 5% of the actual work. 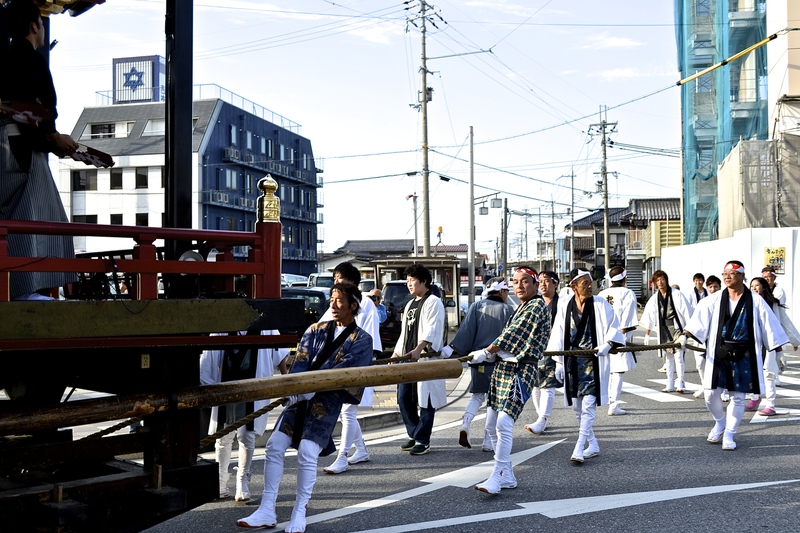 The next morning, we went back to the shrine to see the morning performances and to see the floats be pulled again to their new locations. This is a good action shot of the guys on the float- they yelled out instructions and kept rhythm with their arms and by stomping. The second, larger float below had a bit of more trouble turning onto the sloping path, there were a lot of eyes covered for fear it would tip over. In the end it all ran smoothly and everyone seemed pretty chill about it, which makes sense since most of them do this every year.